I wanted something Fun to do for our anniversary last year and I came up with trying a Hot Air Balloon Ride over Orlando. 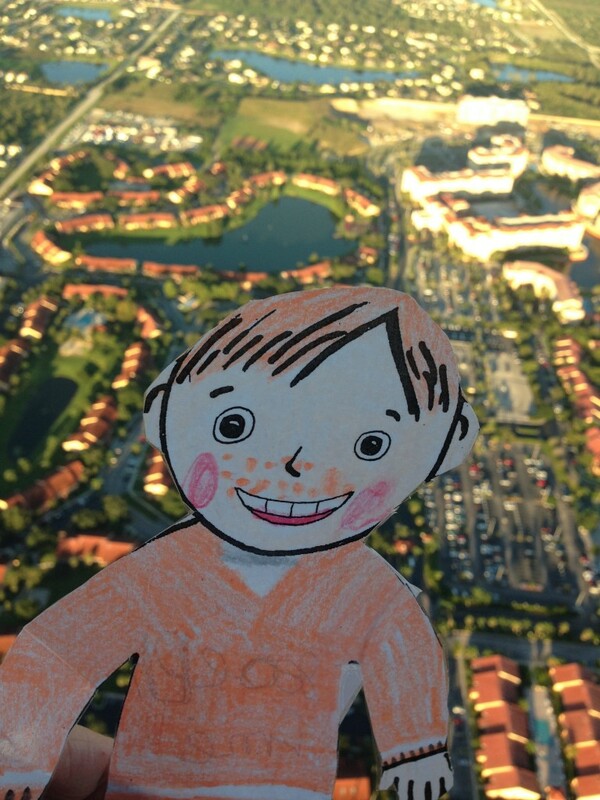 I also had flat Stanley with me (My Nice asked me to document where Stanley and I had gone) I don’t think that it matters what company that you decide to use and I’m not sure which one I picked. But we had to arrive at 5am so that we could watch the sunrise. 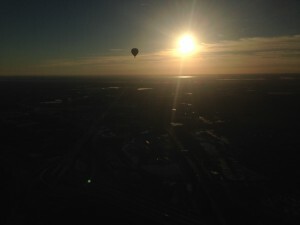 Our Orlando Sunrise view from our Hot Air Balloon Ride. The morning was perfect and the weather was amazing. We both brought light jackets to insure our warmth. We were happy that we did. We also grabbed a snack and coffee before arriving however once we got there they had coffee waiting and some fruit and I thing snack bars. As we started our flight we could see Disney which was pretty amazing. I think that Flat Stanley enjoyed it as well. Yes this is a picture of Alycia Moore and I. One of the few pictures that I’ve posted of myself. Thanks for these great tips. We travel a lot and always are looking to see what the locals are doing. 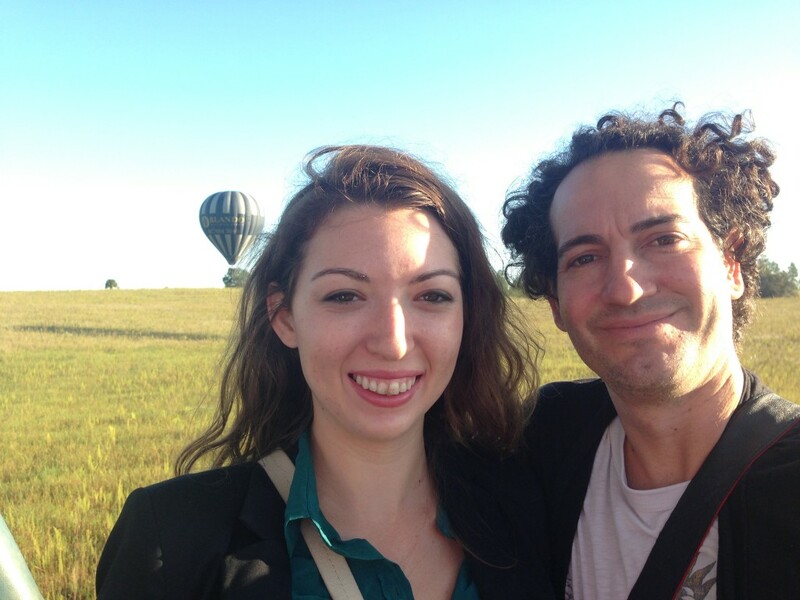 Do you know the name of the Ballon company that you used. I don’t remember but there was a few all leaving from the same locations. Just don’t do the Disney one Disney springs. It’s tied to a rob and you only go up so many feet and then they pull you back down. Bring a light jacket it’s cold up there in the morning but stunning views as the sun rises.